At the bottom of the inventory pane, click the necessary view — Infrastructure View, Business View or vCloud Director View. In the inventory pane, select the necessary VM. In the information pane, open the Summary tab. In the Guest Disk Usage section, click the View all disks link. 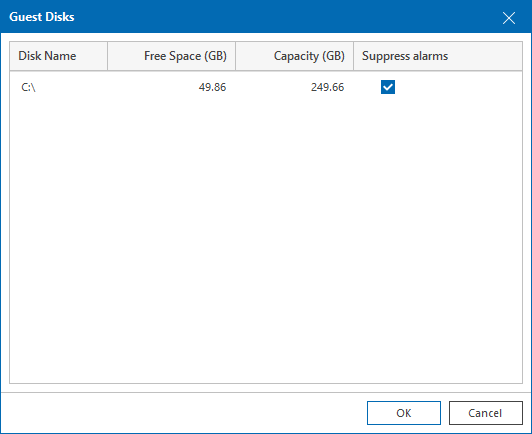 In the Guest disks list, select check boxes next to guest OS disks for which alarms must be suppressed.